Feels like part of the movie! 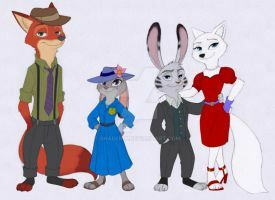 Add some tears and that's Jack in mah Wildehopps fan fiction. It's certainly one of the better drawn Jack Savage pictures I've seen. Could he be looking at a picture of Skye? terrible and full of feels! So sad headcanon for him AWESOME work ! !